Google Maps, as we all know, is a web mapping service developed by Google. This web-based service can provide detailed information about various geographical regions around the world. Apart from the road maps, Google Maps also provides aerial and satellite view of many locations within a few seconds. 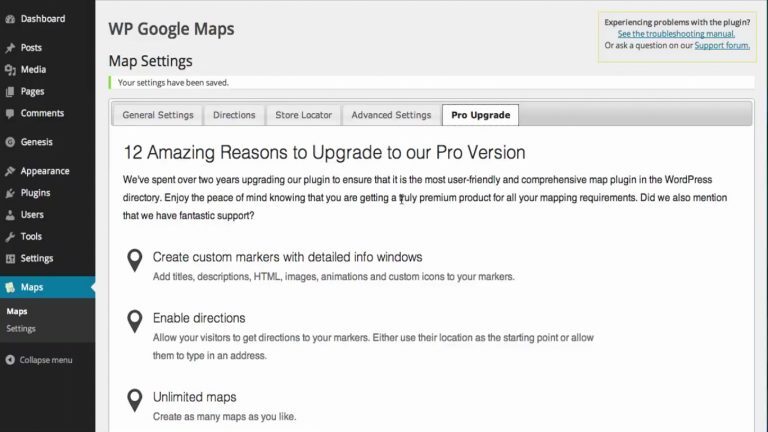 Why would you Embed Google Maps on to your Website? 1 Why would you Embed Google Maps on to your Website? The answer is quite simple, to help your visitors pinpoint your location. May be you are running a travel-related site and want to provide your visitors,the route to specific locations. Or you may be running a site that provides offline services or products. Whatever the reason may be, if you want your visitors to find the location of your store or highlight some other location that visitors might find interesting, embedding Google Maps onto your site is the perfect solution. Apart from that, displaying your location on your website, along with directions on how to reach your place of business is very helpful to your visitors and clients. Also specifying a physical address, is somewhat assuring to your customers. In today’s post let us see how you can do this in a few simple and quick steps. In the address bar, type the address of the location that you want to add to your site. Once you have the location you were searching for, click on the Share button in the left sidebar. On clicking Share , a small pop-up menu appears. 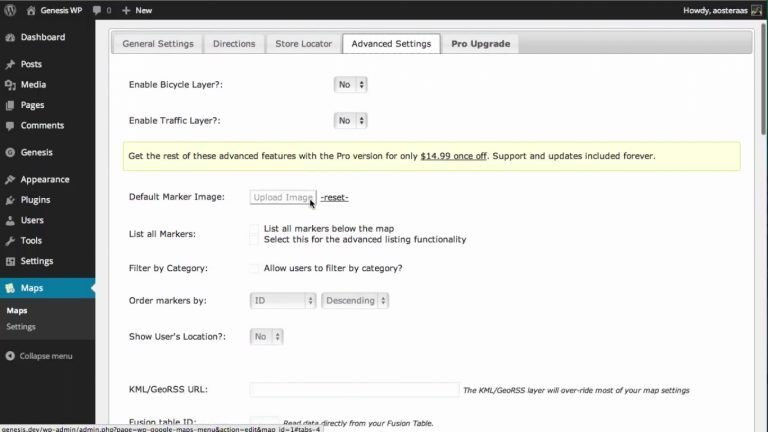 Select Embed Map option. Now go back to your WordPress page or post, where you want to embed the map. Now click on the Publish/Update button and your Google Map will now appear in your WordPress site. The steps for adding a map with directions are pretty much the same as above. The only difference is with the starting interface. Locate the Starting point and the Destination point. Copy the code from the box and the rest of the steps are the same as in the above. 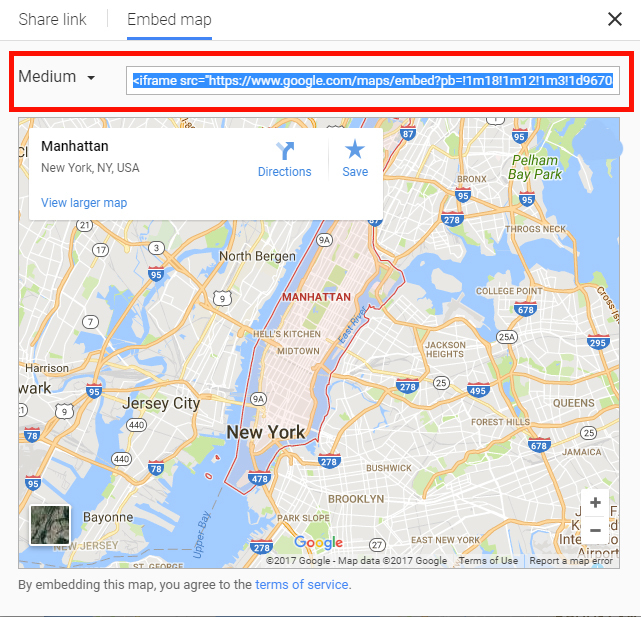 While it is easier to manually embed Google maps for a single location, it does not give you much control and flexibility. If maps are frequently used in your website and your location varies from time to time, then Google Map plugins are the most obvious choice. Google map plugins enables you to integrated Google maps into your site without going through the unnecessary hassle. Also it allows you to add local images or landmarks, which will help your visitors find you more quickly. It makes your map interactive and customizable. Now, there are lots of plugins available out there to download and use. This is the most highly used Google Maps plugin with over 300,000 active installations and more than 1000, 5-star ratings.It helps you easily embed Googlemaps onto your WordPress site, with just a supplied shortcode. It comes with a Free version and a Pro version. While the free version enables you to create a single Google map, the Pro version offers extended features like custom-made multiple Google maps with excellent quality markers containing locations, descriptions, images links and directions. Create dynamic heatmaps quickly and easily. Ability to create multiple map markers by simply typing in the address. Add Descriptions, Links and Images to your markers. Add categories to your markers and dynamically filter them in you map. Beautiful collection of InfoWindow themes. Export your markers to a CSV file for quick editing. Ability to add animations to your markers. Fully responsive, making it scalable on small devices. Google Map Street view is supported, as is street locater, localization and map widget functionality. Roadmap, terrain, satellite and hybrid views are supported. Store Locator functionality, which allows to search for stores based on geographic location. Compatible with caching plugins and Cloudflare. Link Fusion tables to your maps. WordPress network friendly and many others. Installing the plugin is easy and involves a few steps described below. 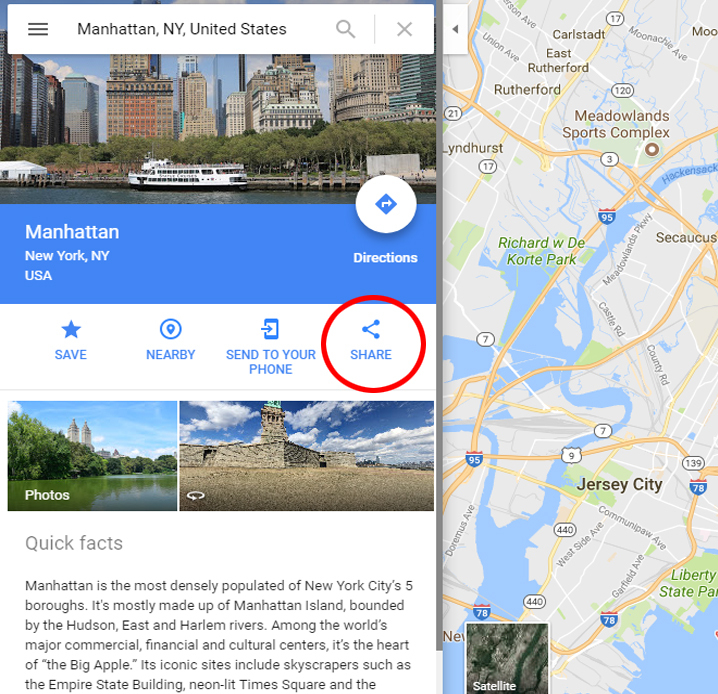 A new window will appear, type “WP Google Maps” in the search menu in the upper left corner of the window and press Enter. A list of plugins will appear. From here, select plugin and click on the Install Now button. That’s it, you are now ready to use the plugin. 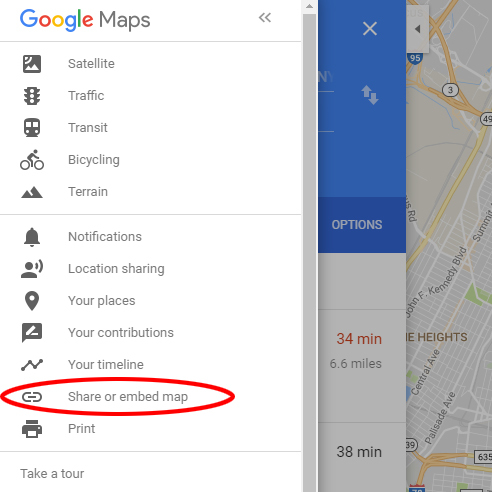 You can access the WP Google Maps plugin by clicking the Maps link in the left sidebar of your dashboard. 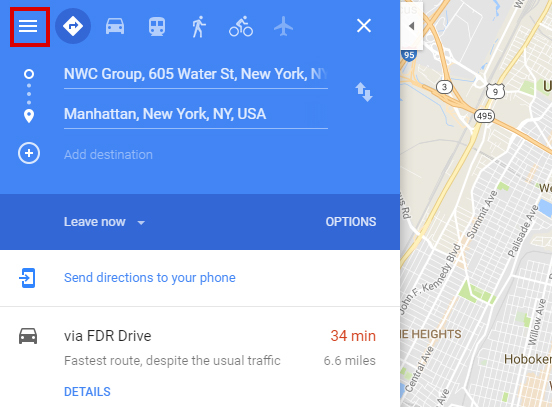 The Pro version is an extended version of the Basic WP Google Maps. To use the Pro version, first you must install and activate the Basic version. After you have purchased the Pro version, download the file into your computer. Click on Choose File and navigate to the location where your downloaded file is saved in your computer. Click on Install Now and let WordPress handle the rest for you. Activate your plugin after installation. WordPress dashboard ->Plugins-> Installed Plugins. Login to your admin dashboard and click on the Maps link in the left sidebar. Then click on the Maps submenu, after which you will be directed to their Welcome page. You will then be directed to a page as shown below. Here you can edit you map. Note : The free version allows creating a single map. 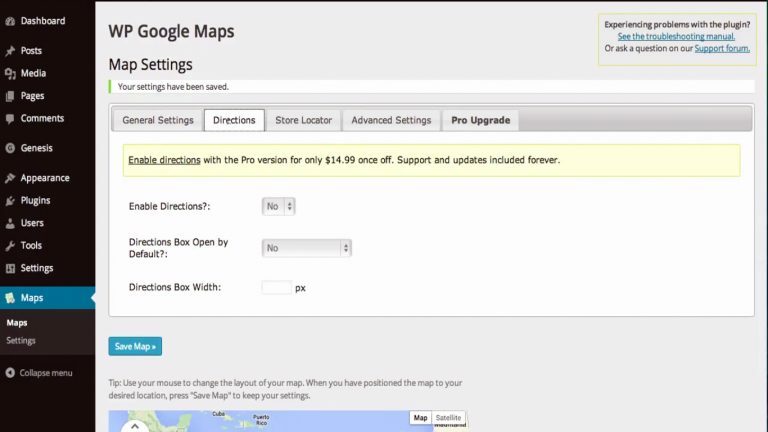 If you want to create multiple maps you can purchase the Pro version. Click on the Edit link, which will take you to the “Create Your Map” page. General Settings–Under this tab you will be provided with various basic settings like, short-code that you can copy and paste wherever you want to display your map, map name, height & width(in pixels), zoom level, map alignment and map type. 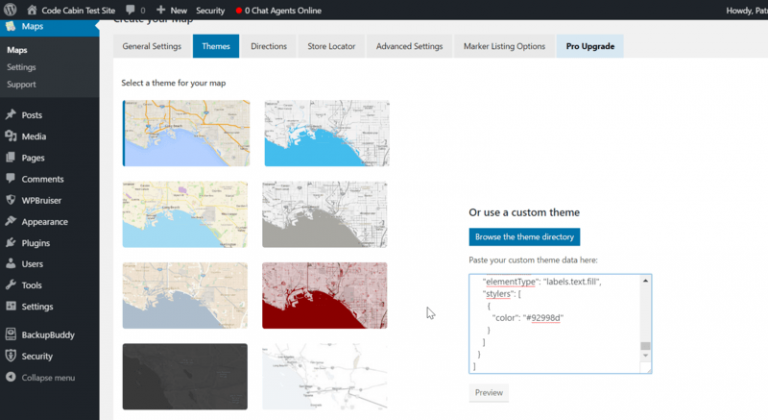 Themes – Under this tab you will find option to select a theme for your map or create a custom theme. Directions – These settings allow you to enable/disable directions on you map (This feature is not available in the free version). Here, you will find options to enable/disable store locator functionality, restrict to specific country, display distance, allow Category Selection, allow users to use their location as the starting point, specify default address and various other style options for the radius circle and radius line. Under this tab, you will find settings for enable/disable bicycle and traffic layer. The rest of the advanced settings such as default marker image, filter by category, show user’s location are available only in the pro version. 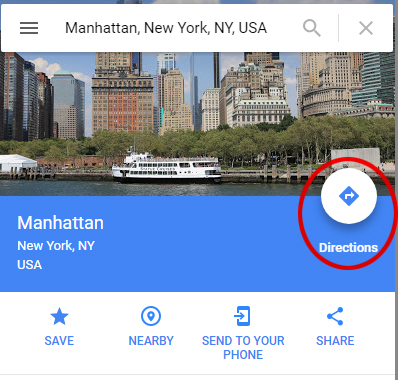 This tab provides a documentation on the various features available in the WP Google Maps Pro version. After you have finished setting up your map, click on the Save Map button. Next, go to General settings, copy the short code and paste it onto a post or a page. Once you have finished, click on the Publish button and your map should be now displayed on your front-end. 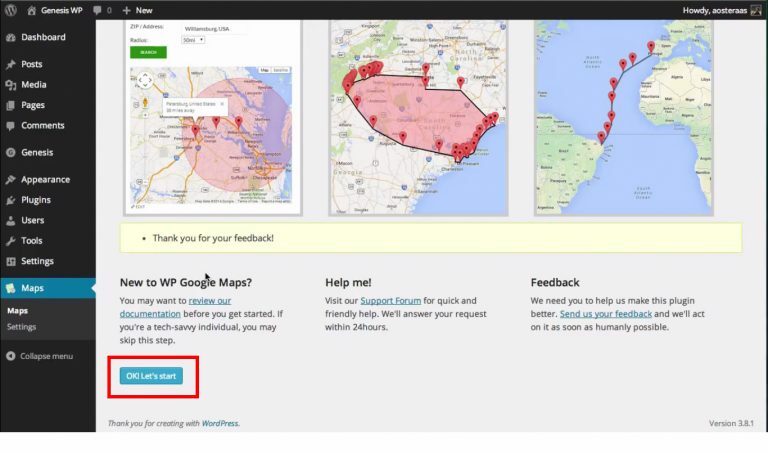 WP Google Maps is one of the highest rated google map plugins for WordPress. Creating a map takes a matter of few minutes. It offers various options that makes creating maps very easy, and also highly customizable. All in all it is a great plugin. Many may not need to upgrade to the Pro version, but it’s only $14.99 if you do and you get a great deal of enhancement and features. 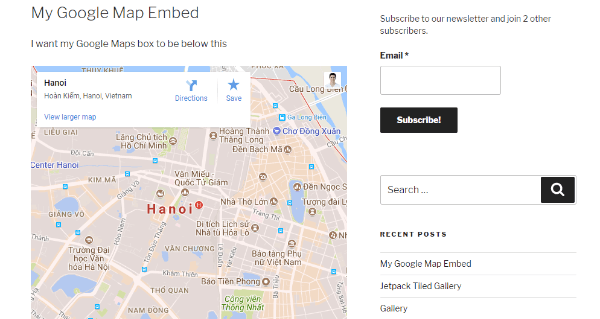 Great post, Being a beginner I am able to create and install WP google maps easily for my website https://www.idofind.com easily. Great post thank you for sharing this useful information with us. Great work.